Digital archives v physical – can they co-exist? At the University of Leicester Centre for Urban History, Colin Hyde has been documenting Leicester’s past and present for many years. 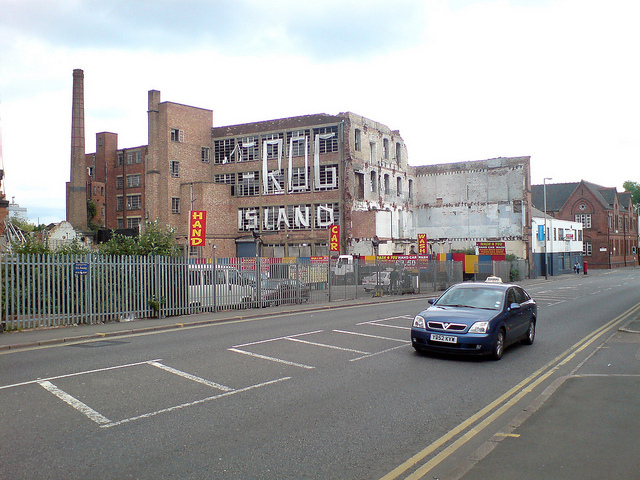 Among the photographs Colin has contributed to the Manufacturing Pasts collection are a set depicting Leicester’s Frog Island in 2002 and 2003. Frog Island has almost no residents, but has been home to many industries, most likely because it is flanked by the River Soar and the Grand Union Canal, providing convenient shipping and transportation. Frog Island has an icon: the Frisby Jarvis building, a worsted spinning mill. 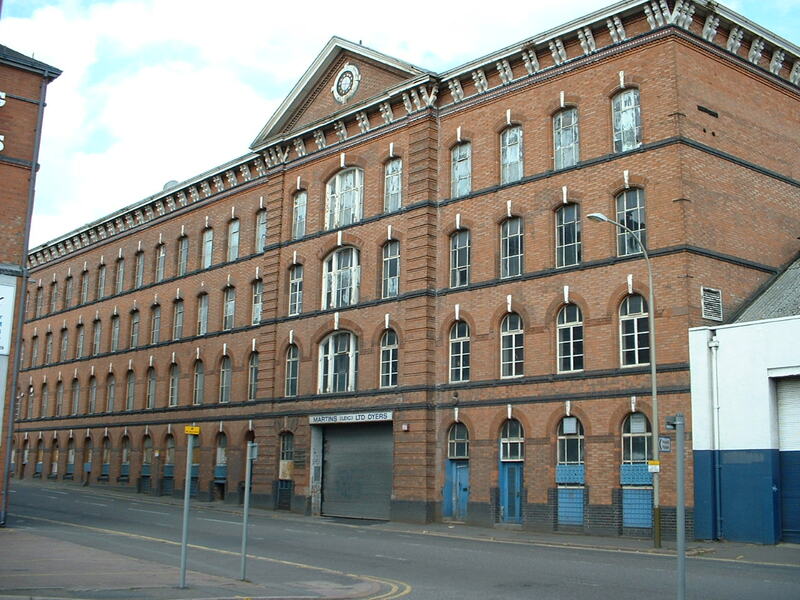 It is a very impressive building, part of a large plant which also included Farben Works, off Slater Street; it was Grade II listed in April 2003. What makes it the icon of Frog Island is the fact it almost burnt to the ground in 2005 — almost, but not quite. The centre of the building was destroyed, leaving the sides fairly intact. An enterprising car wash now functions quite happily in the burnt-out centre of the building. Car wash situated in former Frisby Jarvis building on Frog Island. Photo courtesy of weegeebored on Flickr. The fact that we had Colin’s photos from 2002, well before the fire, allowed me the chance to create virtual tours of Frog Island, one for 2002 and one for 2012. All I had to do was visit the places Colin had photographed back in 2002 and snap them myself. So that’s just what I did, on a sunny Saturday in late August. But how to create a virtual tour? I decided to try using Prezi. We have received rights to ordnance survey maps of Leicester. So I uploaded into Prezi a 1995 ordnance survey map of Frog Island, then uploaded the photos and placed them as accurately as I could onto the map. I did this for both sets of photographs. I had to use the 1995 ordnance survey map for both sets of photos, because we did not receive rights to any more recent map. The final product can be viewed here on Prezi. Take the tour yourself and tell us what you think!